Skin type vs. skin concern: What’s more important? We love connecting to the PV Community through our Facebook group, where members ask for advice and swap recommendations. Many of the questions we get are about which skin care product would work best for them. This is a tough question to answer; how can we make skincare recommendations for others who may have vastly different skin and preferences compared to ours? This depends on so many factors! However, I’ve realized that there are two major considerations when choosing skin care: skin type (dry, oily, combination, normal) and skin concern (acne, redness, wrinkles, hyperpigmentation, etc). It can add to the confusion of what kind of product you should use so when it comes down to choosing, which one really matters more? The truth is, both do but one could outweigh the other when it comes to specific skin care steps. It may actually depend on the kind of product you plan on using, so let’s walk through a step-by-step skin care routine together! When it comes to cleansers, is it better to find something for your skin type or your skin concern? You’re a solid PV reader if you know the right answer. Say it with me now: everyone benefits from a gentle, low-pH cleanser! Regardless of skin type or whatever concerns you’re dealing with, a face wash with a pH level similar to your skin (ranges from 4.5 to 6.2) will not disrupt your skin’s natural moisture barrier and acid mantle, making it less prone to irritation, blemishes, and inflammation. Haven’t found one yet? The PV team refers to this Asian Beauty Reddit thread constantly for recos, and the database is regularly updated by contributors so you should be able to check even new product releases before buying! It’s nice to think a “brightening facial wash” would help address hyperpigmentation, but the truth is, it simply won’t be able to do a lot when it’s rinsed off your face after just a few seconds. After ensuring the correct pH level, choosing the right cleanser comes down to personal preference. Dry skin types would probably gravitate towards creamy hydrating ones, while oily skin types would feel more comfortable with gel-type or foaming face washes. There’s no rule about this, though! My personal fave (pinky swear, not just because I’m friends with Liz!) is In Her Element’s Rose Gel Cleanser - it's something I can recommend to anyone as I’m confident that the gentle formulation will work for all skin types. It’s also the best-smelling fragrance-free face wash I’ve ever tried, thanks to its rose distillate, which has additional skin benefits to boot. VERDICT: For this round, it’s a draw between skin type and skin concern. Facial washes aren't meant to stay long on your skin anyway, so as long as it has a low pH level, you're good to go! Kim was #shookt when she dug into pH levels and discovered that toner was traditionally used for restoring the pH level after cleansing with very basic (high pH) bar soaps! As it turns out, if you’ve done your homework and already use a gentle cleanser, you can skip toner. It's actually an optional step rather than a basic one. Today’s toners have diversified so much that their ancestors wouldn’t have recognized them. Aside from traditional astringent-type toners (which can do wonders for oily types and large pores), there are hydrating, balancing, and calming formulations that can relieve dry, combination, and sensitive skin types respectively. Used conventionally with a cotton pad, these can add another level of cleansing while giving further benefits depending on skin type. VERDICT: Skin type wins! Toning may not be necessary to your routine but the different formulations are designed to suit your skin's "default mode" or skin type. While toning can be skipped, finding the right exfoliant(s) and making it a regular part of your routine is something that all skin types can benefit from! I must confess that I cottoned on to this a bit too late (in my early thirties) and very hesitantly with my sensitive combination skin, but when I did - oh boy oh boy, how much my skin changed! I was able to address various skin concerns by alternating different exfoliants. PV-approved Cure Natural Aqua Gel has become a weekly defense against dry patches around my nose and chin. Alternating AHA (for faster skin regeneration/resurfacing) and BHA (to combat comedones and breakouts) products truly improved the texture on my face. I admit that figuring out the right balance between acid concentrations and application frequency was a challenge since I went the trial-and-error route. Luckily for you, we have Den’s complete beginner’s guide to acid exfoliants to save you the grief. VERDICT: Skin concerns can vastly improve with the right exfoliant routine, so that’s the clear winner here. Unlike your skin type, which is mostly "fixed", your skin concerns can change even from day to day so you need to switch it up according to what your skin needs. Sometimes, our skin needs a much higher concentration of actives to address a specific skin concern on targeted areas. These can either be dermatologist-prescribed or over-the-counter, and come in many different textures. Regardless of consistency, it’s ideal to apply treatments right after cleansing. By doing so, the skin gets the maximum benefit of the concentrated substance. 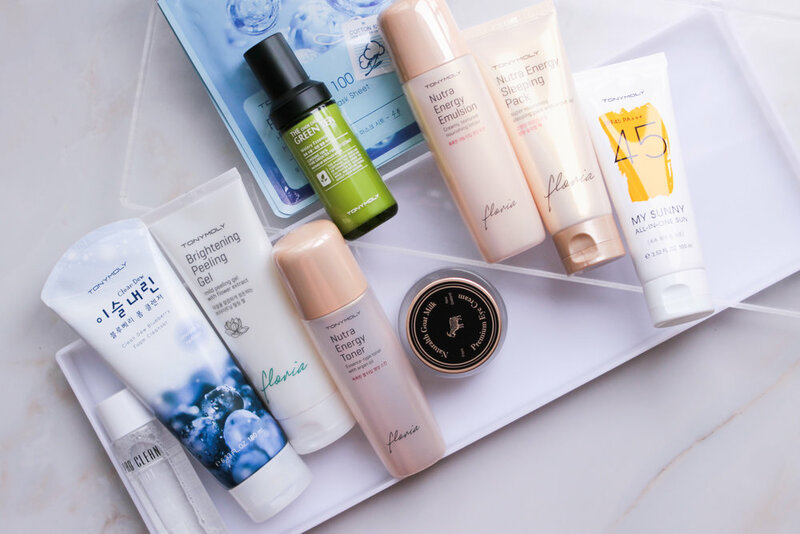 We’ve shared our favorite acne treatments, scar treatments, and even lip treatments for that perfectly moisturized pout. VERDICT: Obviously, you need to consider your skin concerns clearly before deciding on which treatment to get! A few years ago, Liz puzzled over what a skin care essence was. Generally, it’s a hydrating, quick-absorbing substance that’s thicker than toner but lighter than serums. I’ve personally found that all skin types can use one comfortably. It’s a great way to add a layer of moisture to the skin, with a few active ingredients to help improve a skin condition. There are two in my current rotation right now. For day, I use Collagen by Watsons Skin Renew Essence Water, which I picked up because it had hydrolyzed collagen and ceramide 3 (plus it was really cheap). And since fermented skin care seemed to work well for me, I got the Benton Fermentation Essence for night. VERDICT: Choose your essence based on your skin concern; finding the right one can supplement the results you get from the rest of your skin care products. I find serums very similar to essences, but because it has a heavier consistency, it works well for both overall and targeted application. For example, a serum I like, Olay White Radiance Intensive Brightening Serum, can be used all over and then layered on particular areas like pimple marks. The PV team also got to try Estee Lauder Advanced Night Repair and saw visible results in 30 days! VERDICT: Serums are the powerhouses of skin care and traditionally the products that contain the highest level of active ingredients. So it definitely makes sense to choose and use a serum that addresses a skin concern you might be dealing with. I used to be attracted to moisturizers that promised anti-aging, brightening, and pore-refining benefits. I had a lot of skin concerns to address, and an all-in-one solution was very tempting. But then I realized that I had different skin concerns on my nose (comedones, dry flakes), cheeks (dryness), and T-zone (excess oil). These would be better addressed by appropriate treatments and serums, rather than a single moisturizer! What did break the deal for me was when a moisturizer felt too heavy on my skin. For my combination skin, I always had at least two moisturizers at any given time: a gel type that can be worn under sunscreen for day, and a quick-absorbing light cream for night. I sometimes use both when my skin is either more oily or dry than usual. VERDICT: Consider your skin type before settling on a moisturizer; the texture can be a deal-breaker. We’ll never get tired of saying that sunscreen is the best anti-aging product ever, ever, ever. EVERYONE needs to use sunscreen daily, and reapply as needed throughout the day. Choosing the best sunscreen for you depends on your needs, however. You’ll need to consider how long you’ll be in direct sunlight, and whether or not you need a water-resistant formula. Thankfully, sun protection now comes in so many forms and consistencies like serums, creams, lotions, and sprays. VERDICT: Go with whatever fits your needs, and feels comfortable with your skin type. So who is the overall winner: skin type or skin concern? As it turns out, it really depends on what each product type is supposed to do for your skin. As long as you have this guide, and know how your skin is and what it needs, you’re all set to find the best products for your routine. Are you happy with your current skin care, or are you looking for a little something more? How often do you evaluate your skin? Let’s get the discussion going in the comments!